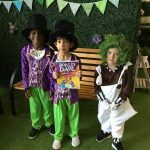 Willy Wonka and his Oompa Loompa! 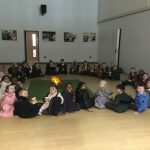 We had a fun and very busy World Book Day, sharing stories and talking about our favourite characters. 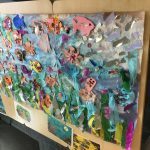 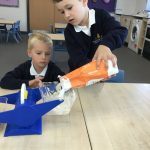 We focused on ‘Tiddler’ by Julia Donaldson and created some under the sea artwork. 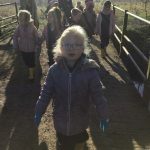 Today we went on a wonderful welly walk in the sunshine! 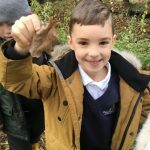 We had instructions for “How to Catch a Gruffalo” and we found his giant footprints, purple prickles and tusks. 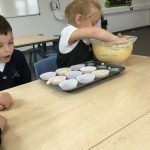 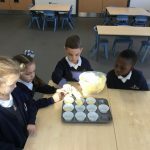 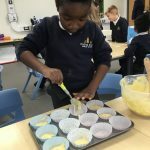 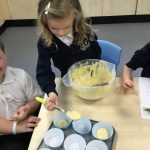 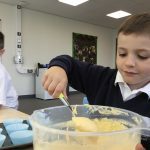 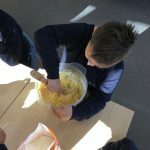 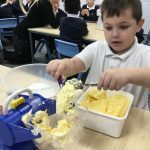 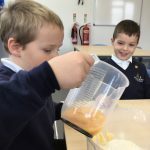 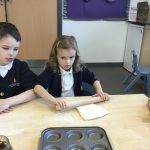 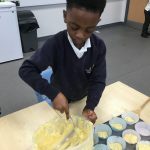 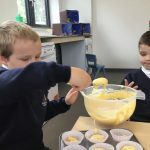 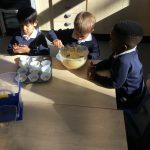 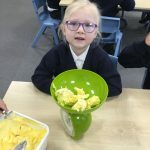 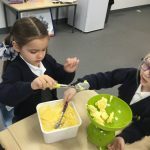 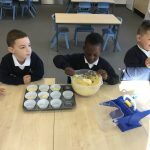 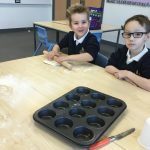 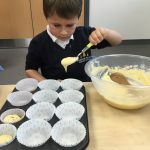 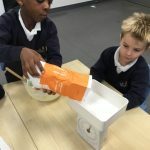 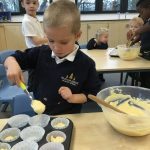 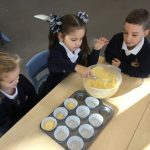 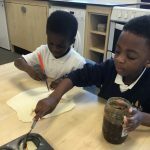 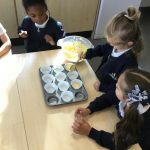 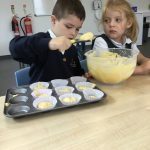 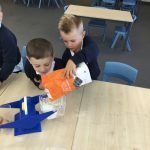 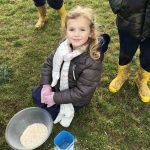 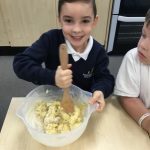 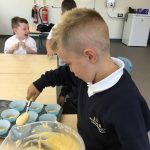 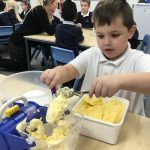 In welly work this week, we made Tiger Food as part of our ‘The Tiger who came to Tea’ learning. 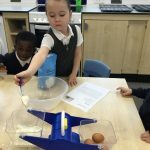 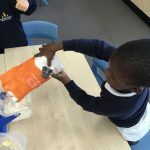 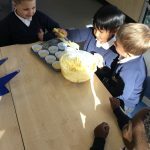 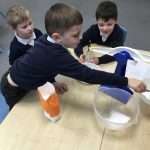 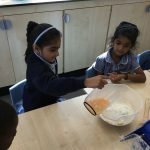 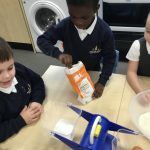 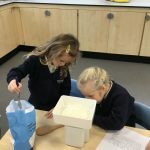 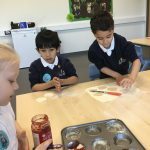 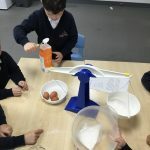 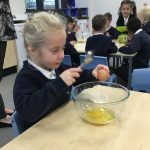 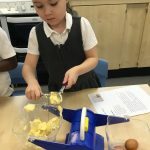 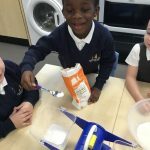 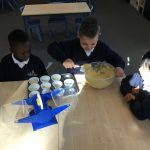 We had to use our maths skills to weigh and measure different ingredients. 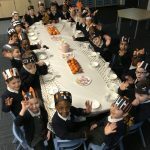 Then we had a lovely tea party! 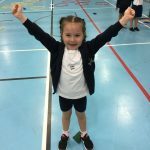 A very fun first week back in Year One. 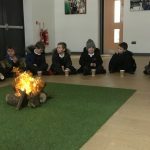 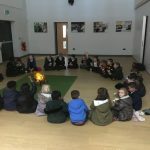 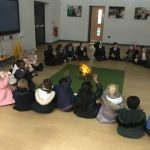 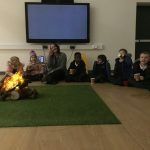 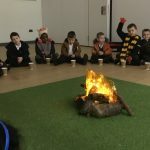 To start our new topic, chocolate, we set up a camp fire and had hot chocolate, listened to stories and played games. 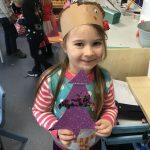 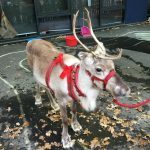 We have had so much Christmas fun! 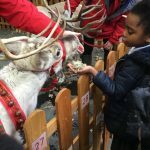 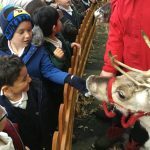 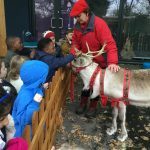 We have baked mince pies and jam tarts, met and fed Santa’s real reindeers and had a fantastic Christmas Craft Day. 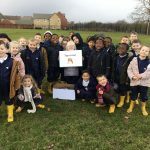 Merry Christmas from all of Year One. 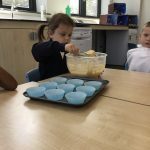 For our curriculum treat, we made delicious cupcakes. 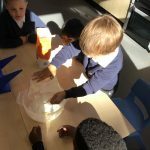 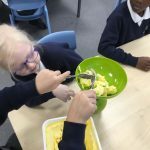 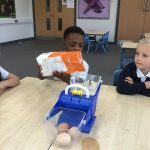 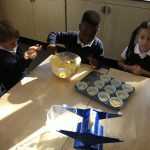 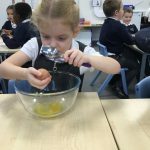 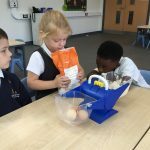 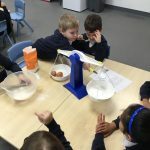 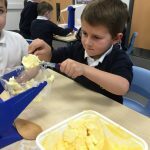 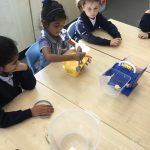 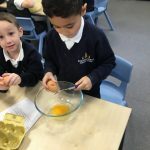 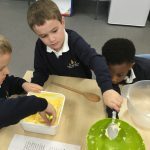 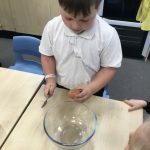 We had to read a recipe, use scales to measure accurately, learn how to crack an egg and work together as a team. 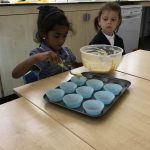 Then we made icing and decorated them! 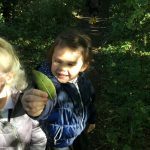 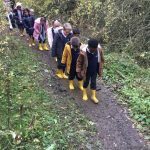 We had a lovely welly walk on Friday, looking for the signs of Autumn. 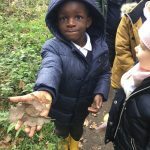 We found beautiful trees, different coloured leaves, fallen apples and conkers. 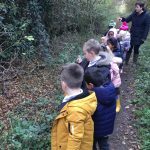 We also found one of our values birds, a robin, sitting in a tree. 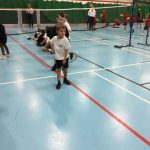 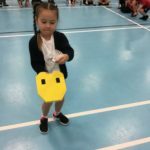 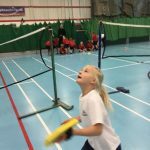 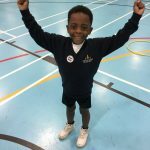 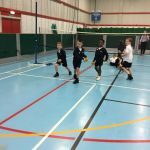 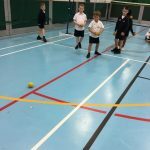 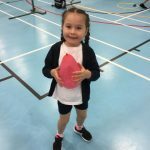 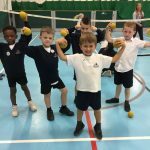 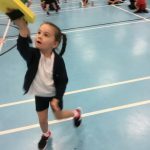 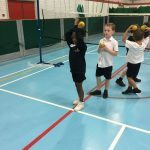 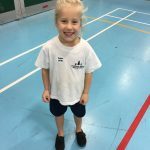 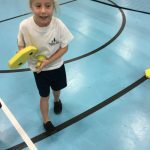 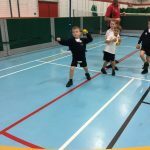 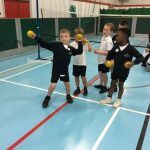 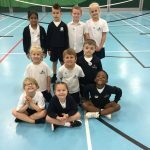 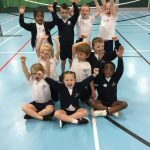 We had an amazing time at the KS1 Rackets Festival at Benham Sports Arena. 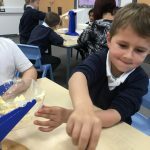 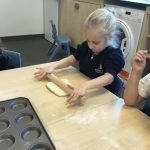 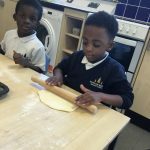 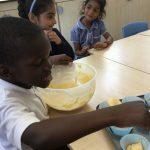 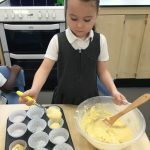 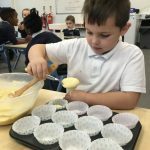 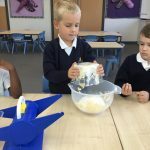 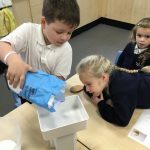 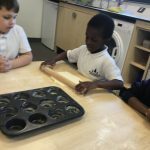 The children were fantastic; they tried so hard and worked together. 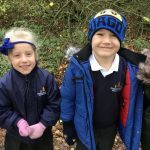 They were an absolute credit to our school, Miss Lecky and Miss Latham were incredibly proud to have these children represent Pineham Barns. 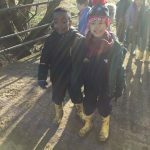 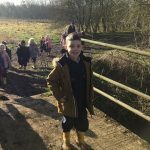 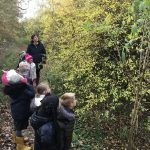 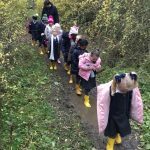 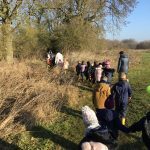 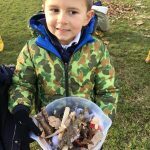 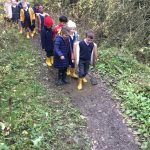 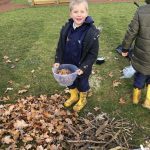 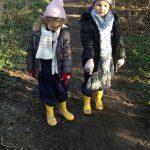 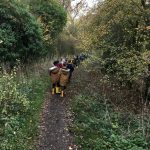 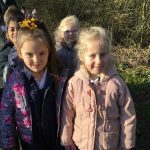 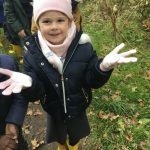 Year One wrapped up warm and went on a welly walk to collect leaves for an Art project this week. 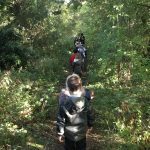 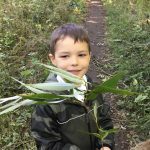 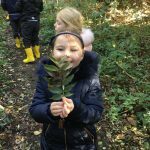 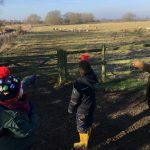 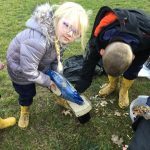 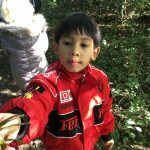 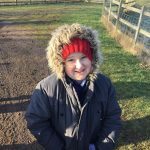 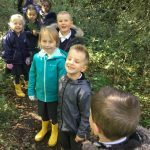 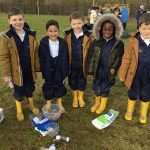 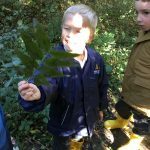 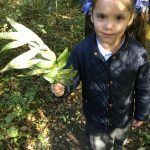 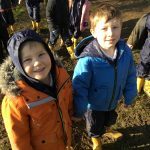 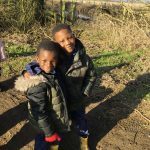 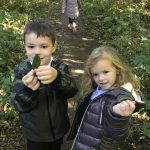 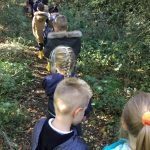 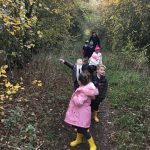 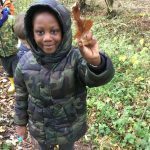 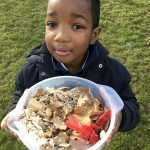 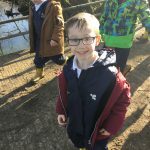 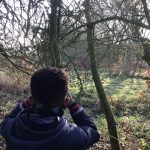 We love going to the wild area to collect resources for our learning and exploring the outdoors! 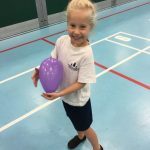 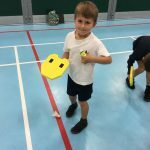 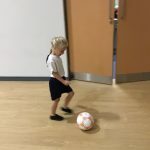 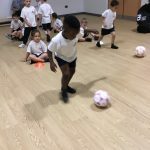 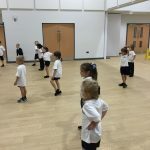 Year One have had a fun and active week! 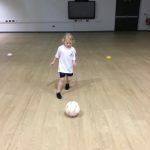 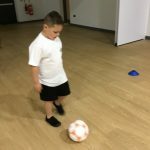 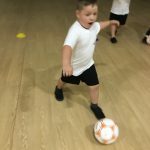 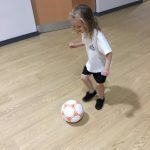 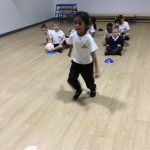 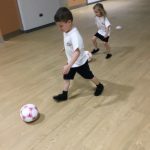 We have been dancing in Zumba and practising our football skills during PE, working in teams to improve our control over the ball. 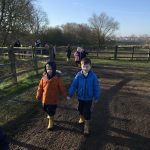 We have had a fantastic start to Year One, this week we have been getting to know each other, practising our reading and writing and exploring our new adventure playground. 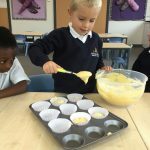 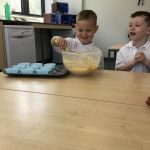 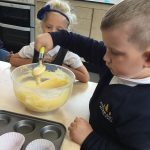 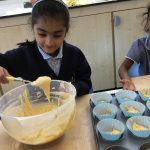 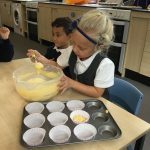 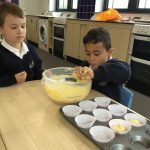 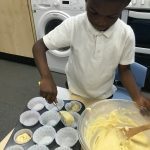 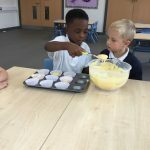 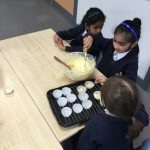 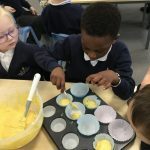 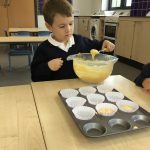 To finish our first week, we baked delicious cakes! 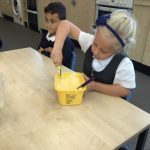 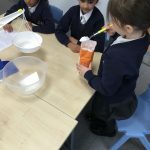 We had to measure carefully and work as a team.